BarTales (5 months ago) Inappropriate? Nice. Super easy to add color/texture...there isn't much out there in terms of hard-hats for V4 so I thank you for this model. Game Design 9 (3 years ago) Inappropriate? Childe of Fyre (4 years ago) Inappropriate? Oh, I will have LOTS of use for this model soon enough. Thank you again! Why is this in txt format? I thought it was an OBJ? Chris Morse (11 years ago) Inappropriate? Thank you very much. 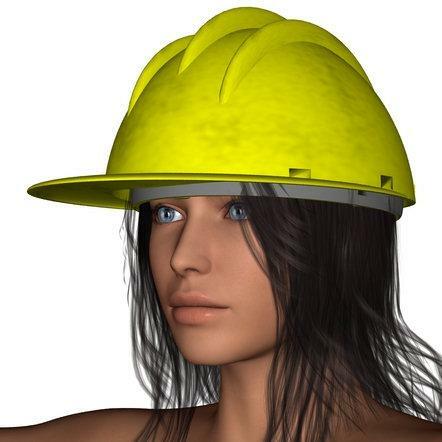 I had to model one of these for work as a range of PPE. Left it till last as the hardest (no pun intended) and now I dont have to!! !